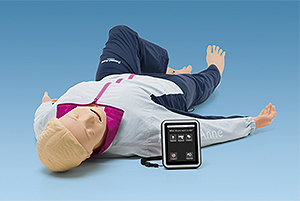 The Resusci Anne Simulator with SimPad has been designed for the unique training needs of emergency care in both pre-hospital and in-hospital environments. It is anatomically realistic with a host of features, including airway management, blood pressure, spontaneous breathing, ECG and live defibrillation. Quality CPR (QCPR) feedback on the SimPad helps measure and improve CPR performance. 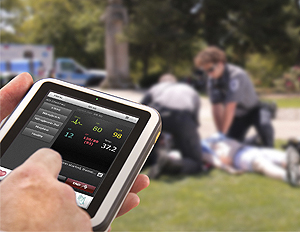 The SimPad System will work wirelessly via Wi-Fi with the Resusci Anne Simulator, transforming the simulation exercise into a mobile and dynamic learning experience enabling learning opportunities to evolve in real time. Click here for more information about the SimPad System.